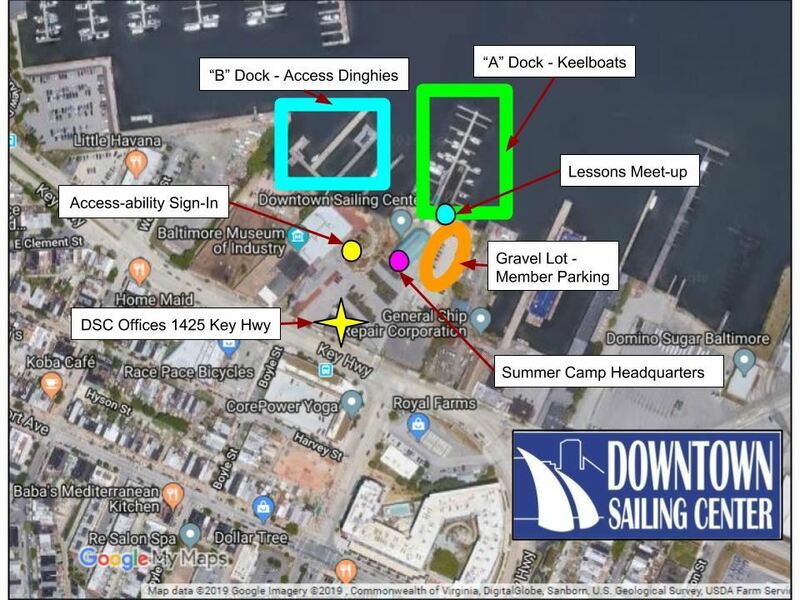 The Downtown Sailing Center full-time staff hours are 9 AM - 5 PM, Monday-Friday. Lessons and Classes are held on the weekends: please see calendar event for exact details. We are located on Key Highway between Lawrence and Webster Streets. Our office is in the small brick building. Classes and youth camps meet under the large pavilion, and the docks are just beyond the pavilion. Where We're Located; Where to Find us!